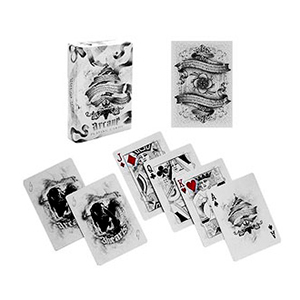 The Zombie Deck is a totally unique deck of playing cards, both a traditional deck and a delightfully spooky set of survival tips in case of zombie attacks. 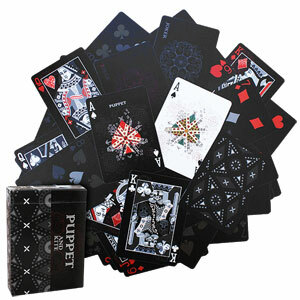 Plus, gone are the usual face cards; our royals and jokers have joined the horde. 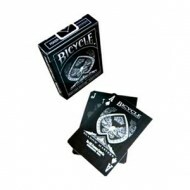 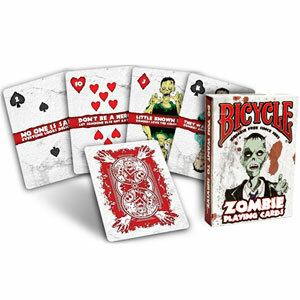 The Zombie Deck features original artwork on the front and back of the cards, including zombified face cards and jokers. 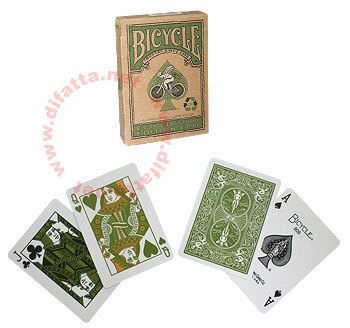 These decks were reanimated in the USA at the United States Playing Card Company and printed on premium stock with a quality finish. 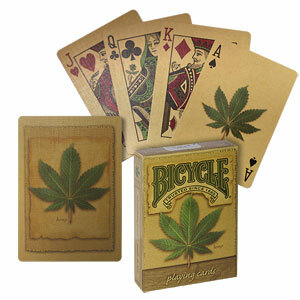 Put down that blunt object and play a few hands with these terrifying new cards.